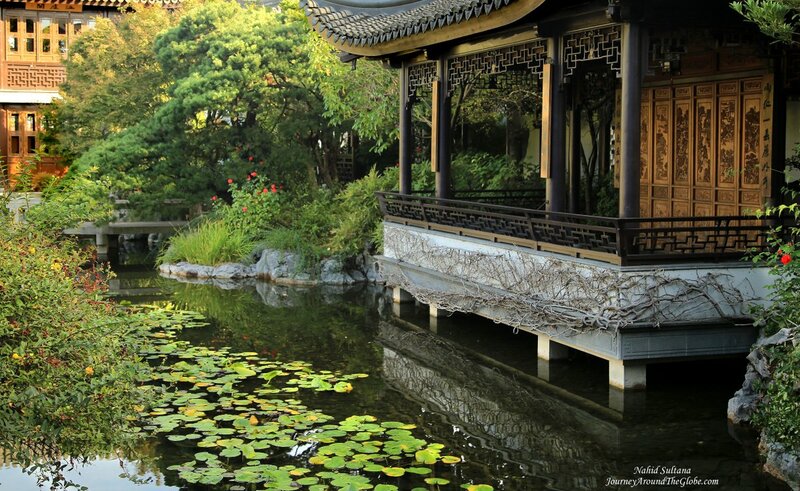 LAN SU CHINESE GARDEN: I enjoy visiting Chinese or Japanese garden more than any other types of gardens there are to visit. I don’t know if it’s the landscape, sound of the water, small bridges, ancient architecture style, fountains, collection of trees, or just the atmosphere that attracts me the most. The only oriental garden that we visited in Europe was Hasselt Japanese Garden in Belgium. I regret not seeing the one in the heart of Brussels; we made couple initiatives to visit it…but never worked out. After returning to Portland, I was determined to pay my visit to Lan Su Chinese Garden for the second time (first time we went there was about 4/5 years ago). I was supposed to go for a photo-shoot (just my camera and I) that morning but somehow ended up in Pearl District near Portland downtown. After making some frustrated turns, I saw the sign to this garden. I quickly searched the address in my phone and started following my GPS. I was destined to visit this place that morning, and I was happy that I ended up here. 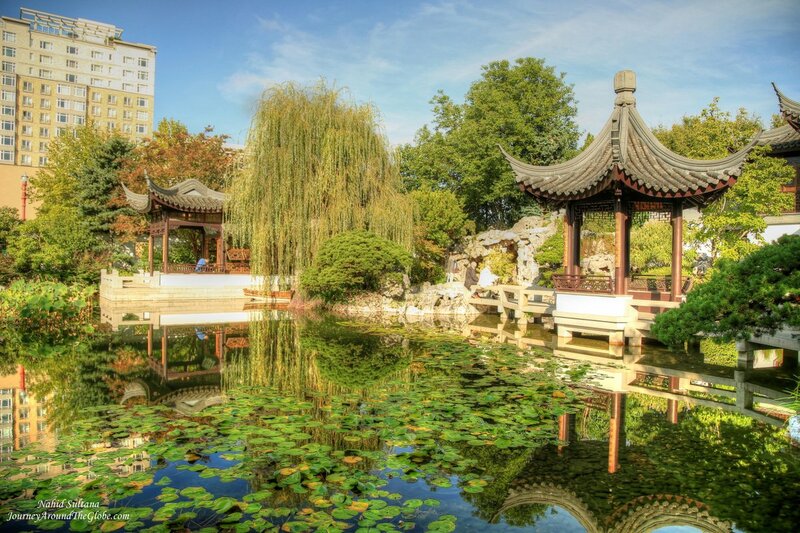 Lan Su Chinese Garden is a piece of wonderland that gives you the opportunity to peek into Chinese culture and heritage in the heart of busy Portland in Oregon. 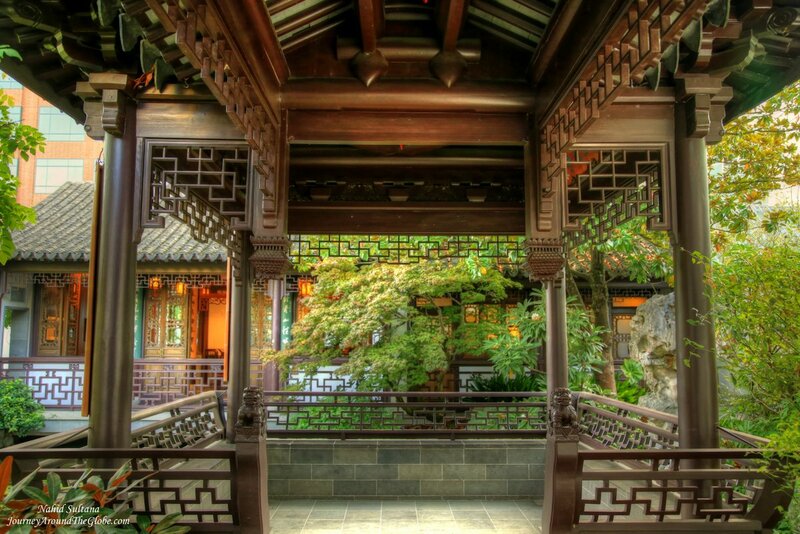 The garden was built in 2000 by expert Chinese artisans using traditional materials and methods. It took sixty-five artisans for 10 months to assemble and complete the structures that were crafted in China. 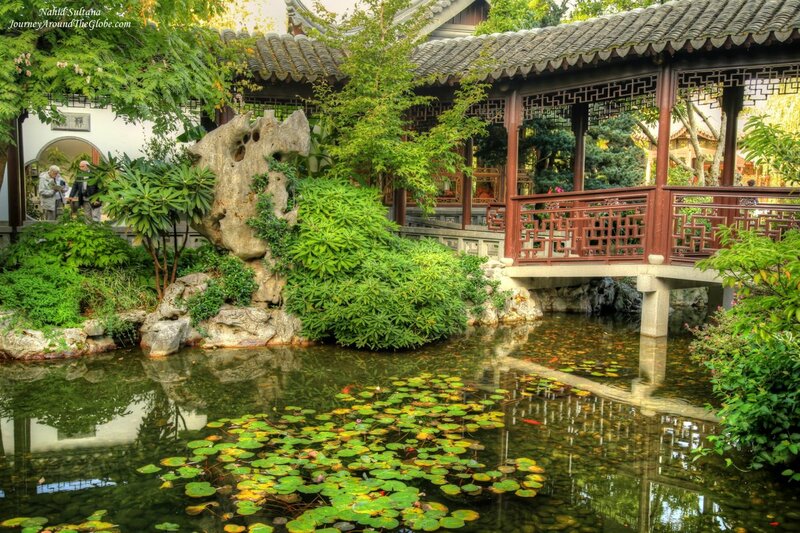 It’s considered the most authentic Suzhou-style Chinese garden outside of China. Most of its building materials, including few hundred tons of rocks actually traveled from China. Other than few hundreds of plant species, visit the Courtyard of Tranquility, terrace, Moon Locking Pavilion, Rock Mountain and Waterfall. Don’t miss the carved ginkgo wood or some penjing that contains trees that are over one hundred years old. The garden around you is a spiritual and peaceful place that will help you escape the daily lives. When you are done with everything have a cup of hot tea in the Tower of Cosmic Reflection tea-house. The tea-house is a separate entity which promotes social art and culture of tea from the Far East. The ticket to the garden is around $10. I ended up buying their annual membership for $60. 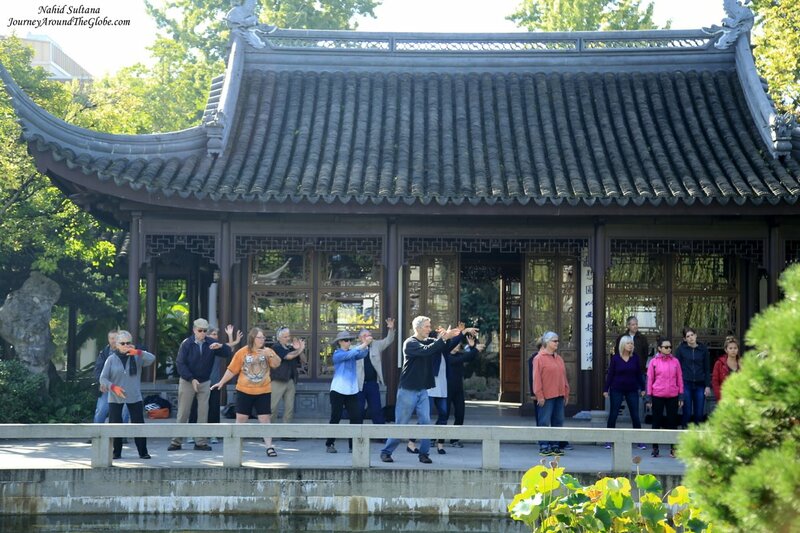 I wanted to take advantage of their free Tai Chi class every Thursday morning at 10am which is available for anyone.